Several safe, non-invasive tests can be performed to help clarify a potential cardiac diagnosis. An electrocardiogram (ECG or EKG) displays electrical conduction in the heart and can diagnose heart rhythm disturbances, including slow or fast heart rates, and arrhythmias, rhythm conduction problems. An echocardiogram (echo) uses ultrasound waves to create an image of the heart, revealing details regarding its structure, heart valve architecture, and function (how the heart muscle contracts). A cardiac magnetic resonance (CMR) image uses a magnet to provide an image of the heart as well, revealing even more information on heart anatomy and function. In general, heart disease can be divided into two categories: congenital heart disease, which is present at birth, and acquired heart disease, which is developed after birth. The tests mentioned earlier can distinguish between the two and help guide physicians to address the appropriate next steps for heart care. Some serious heart conditions, such as peripartum cardiomyopathy (a weakened heart muscle), develop during the late stages of pregnancy while other conditions, such as spontaneous coronary artery dissection (a tearing of a coronary artery), can occur following delivery and cause chest pain and other heart attack-like symptoms. Both of these conditions require immediate medical attention and treatment, and sometimes intensive care. For a woman with known heart disease, or a woman at risk for developing cardiac issues during pregnancy, a preconception visit with a maternal-fetal medicine (MFM) specialist is recommended. This specialist can begin assessing the risk of complications for her and her baby, and genetic counseling can take place in order to assess the likelihood and implications of an inheritable disease. Establishing baseline heart function is important for pregnant women at risk for heart disease. It’s recommended that a pregnant cardiac patient be evaluated by an MFM specialist and a cardiologist to classify their condition as low-, medium- or high-risk. This can help indicate how her pregnancy progresses and develop the best plan for delivery. High-risk maternal diagnoses include pulmonary hypertension (high blood pressure in the lungs), coronary artery disease, cardiomyopathy, aortopathy (such as Marfan syndrome) and severe valvular heart disease. Women with artificial mechanical heart valves face a particularly different challenge, because anti-coagulation must be adjusted closely during the course of pregnancy and delivery itself. Patients with any of these diagnoses should be followed closely by an interdisciplinary obstetric team in order to ensure an optimal outcome for mother and baby. Even after delivery, these women need to be monitored closely, as some cardiac complications, like heart failure or aortic disease, can take place several months into recovery. 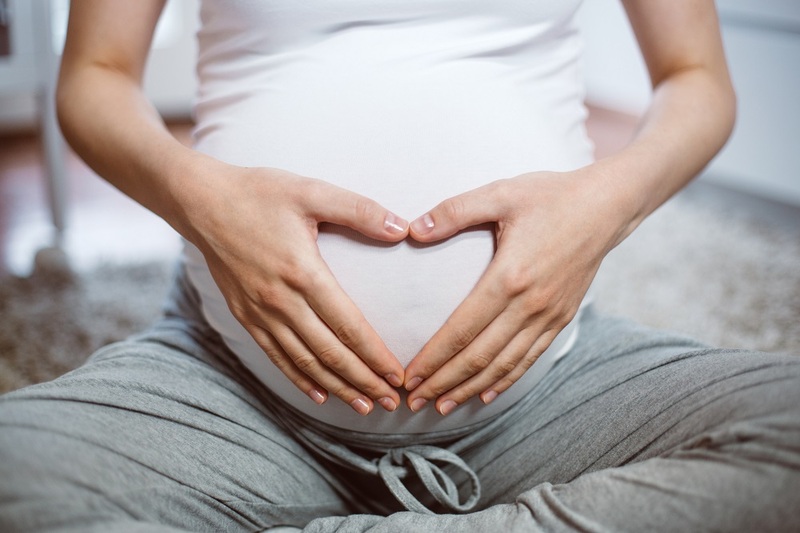 One of the most important things a woman can do to navigate heart health during pregnancy is establish care with an obstetrician and MFM specialist. Then, a comprehensive assessment can be performed in order to establish cardiac risk and determine if a cardiology referral is necessary. Most pregnancies can be managed conservatively with interdisciplinary care, which will optimize outcomes for both mother and baby. To learn more about the Maternal Heart Program at Texas Children’s Pavilion for Women, alongside other relevant information on high-risk pregnancy care, click here. February is American Heart Month. Join the CDC Division of Heart Disease and Stroke Prevention and Million Hearts® in letting younger adults know they are not immune to heart disease, but that they can reduce their risk—at any age—through lifestyle changes and by managing medical conditions. For messages and resources, click here.